It’s that time of year when I just want to be outside amongst nature. Luckily, we have an abundance of it in SoCal which never ceases to amaze me. Upon first glance it seems like all the natural landscape has been paved over but there’s actually plenty of it – even in the heart of the city. For instance, the Dominguez Gap Wetlands Project located just off the 405 in Long Beach. Last summer I was checking out the Friends of the LA River website when I noticed the opportunity for a guided walk at the wetlands. I had never heard of them and I knew Long Beach pretty well! Intrigued, I signed up and met the group one balmy evening. Located in the Bixby Knolls area it’s a bit of challenge to get to as it’s tucked behind a neighborhood with no visible entrance. You basically park on the street, go through a small gate and suddenly you’re in a different world. A true secret garden. 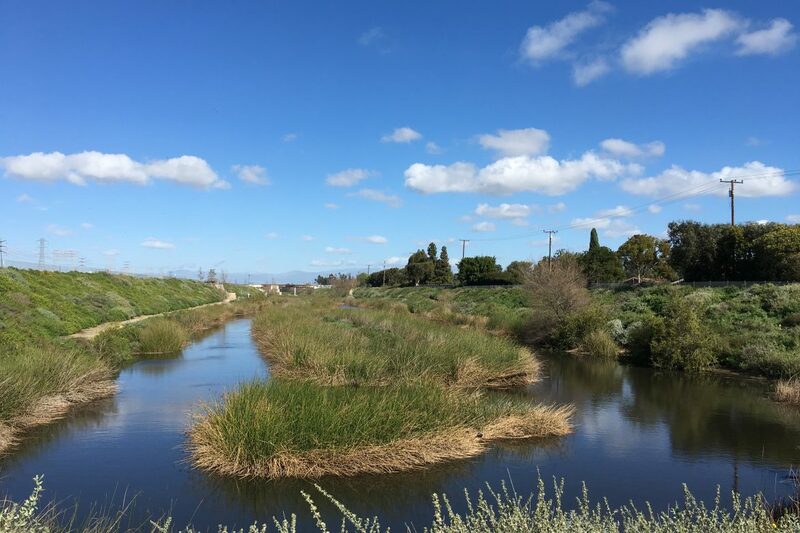 Developed in 2008 by Los Angeles County Flood Control District the project returned the wetlands to it’s natural state while maintaining the LA river flood control basins. And that river? It’s just on the other side. Quite the contrast, isn’t it? I instantly fell in love with the wetlands and vowed to return soon but it took me quite a few months to get back. This time I took my mom and I found it was just as lovely as ever. The weather was cool, the landscape was lush and there were plenty of water fowl enjoying the environment (it’s a great bird-watching spot). My mom agreed that it’s a lovely oasis in the heart of the city. Though somewhat hidden, Dominguez Gap Wetlands Project deserves discovery. I won’t mind sharing my secret garden.